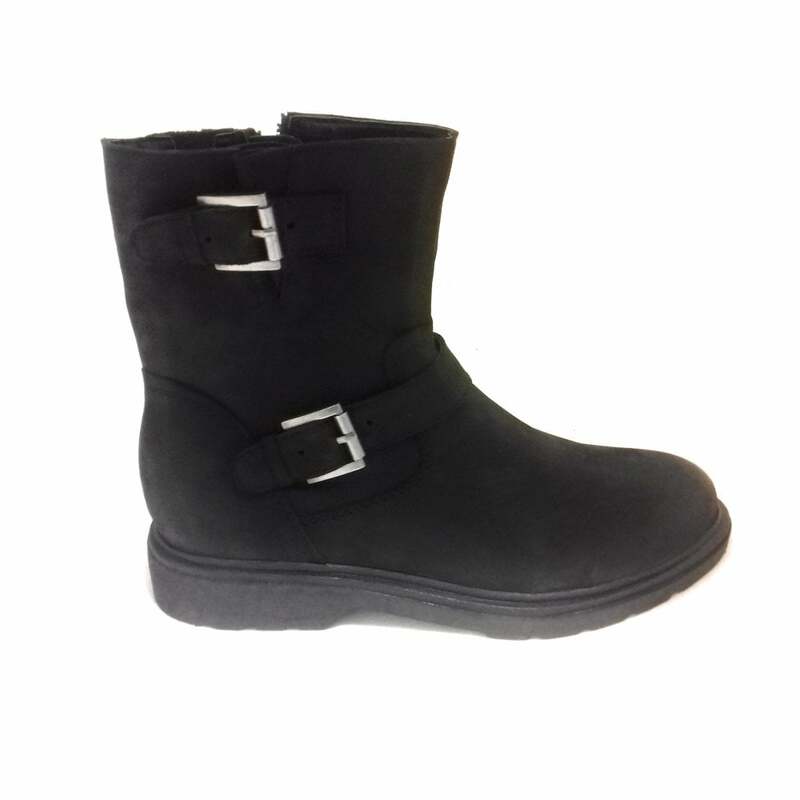 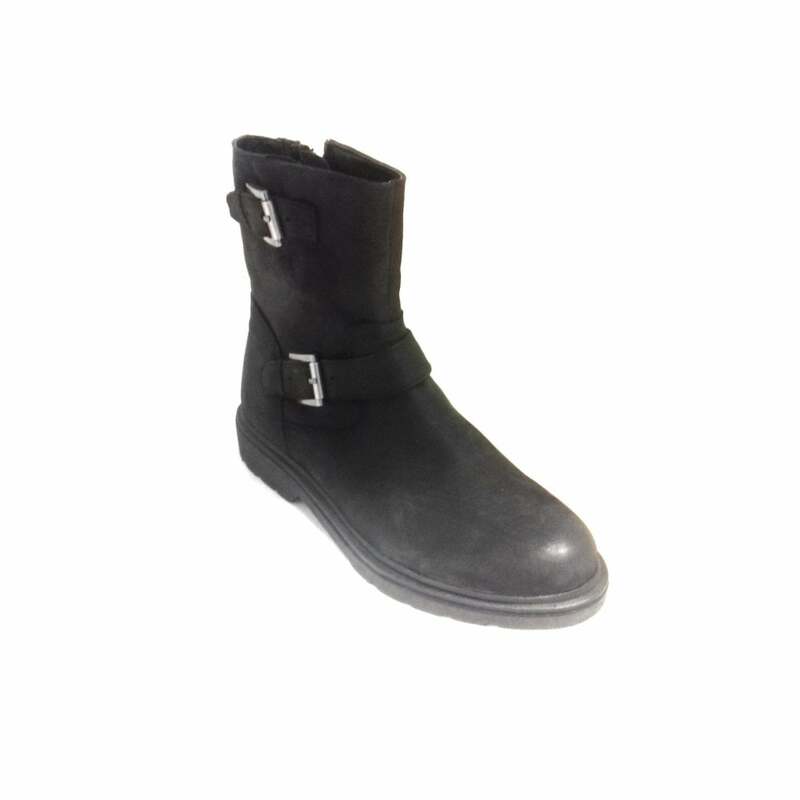 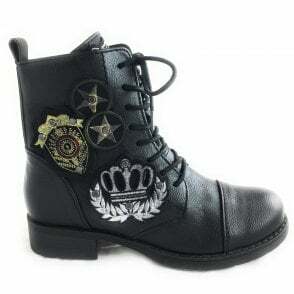 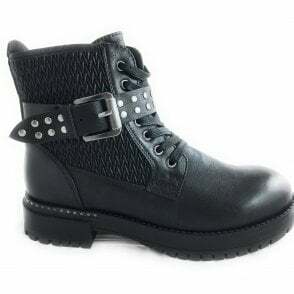 A must have for your casual wardrobe this season is this Marco Tozzi womens black leather ankle boot. 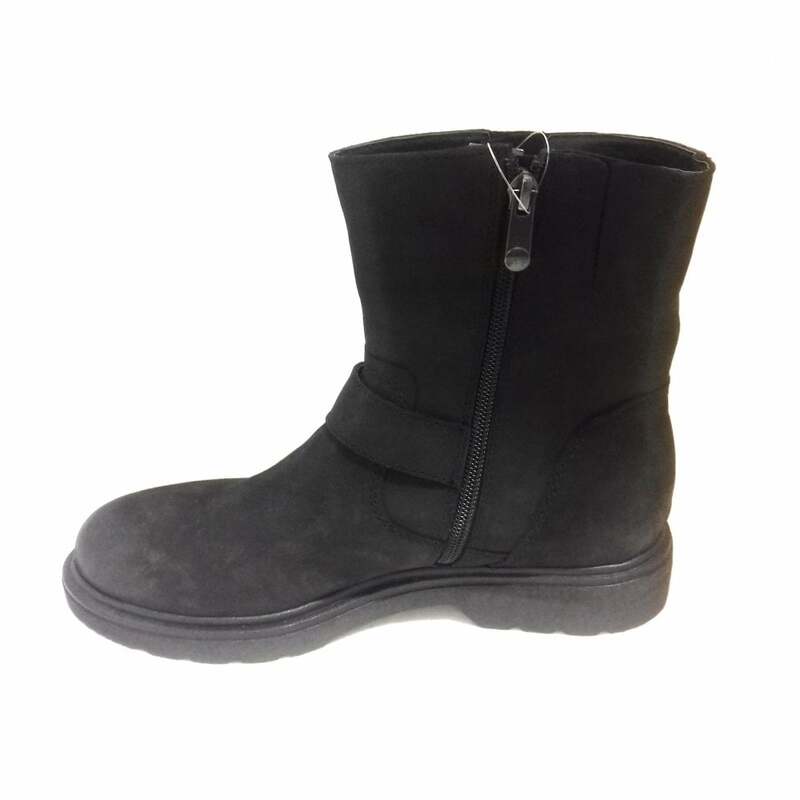 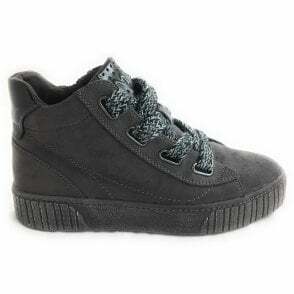 Sitting on a low heel and with cushioned insoles you are guaranteed all day comfort. 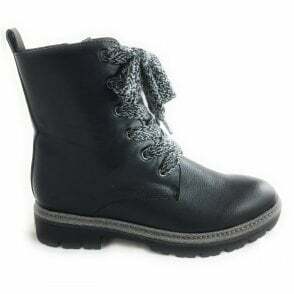 Finished with side zip fastening and decorative straps.